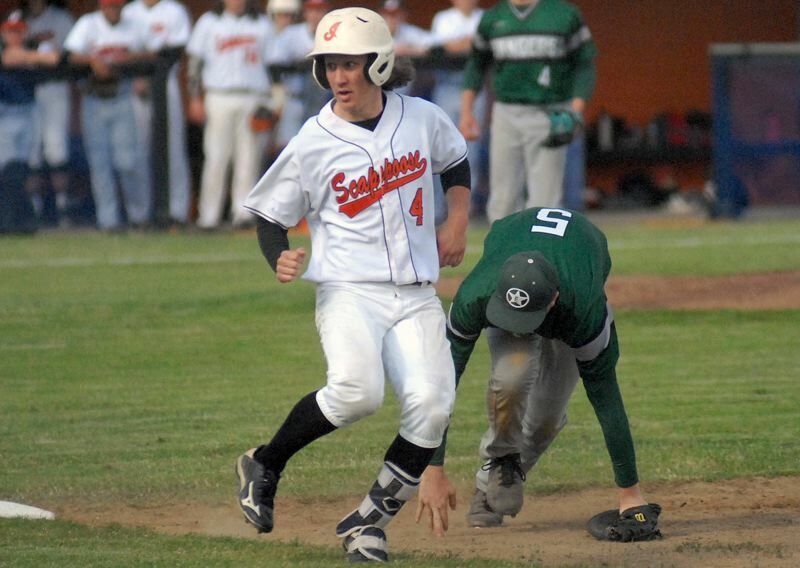 Three Scappoose High baseball players recently took their places among the state's best. 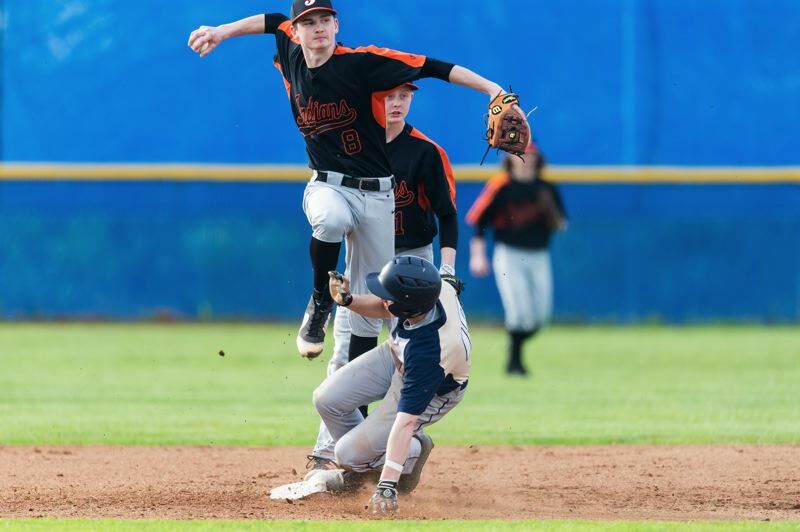 In the 2018 Class 4A all-state voting, Scappoose graduate Jerad Toman was a first-team Class 5A all-state baseball selection. Toman, who is going to Portland State to play quarterback, played every position except catcher and first base this spring. He used his speed to steal 17 bases and score 43 runs. Coach Mike Reed called Toman the fastest player he has coached. Shortstop JC Gross was a second-team selection to the all-state team after batting .517 with a home run, three triples, nine doubles and 36 RBIs in his senior season. Gross plans to attend George Fox University in Newberg and play baseball. Sophomore pitcher Logan Travis receiver honorable mention on the Class 4A all-state team. In his second varsity season, Travis won important games over Seaside and Valley Catholic. "He throws very hard, but usually has good control. He just works on getting ahead of guys and then finishing them off," Reed said. Pitchers: Heith Rasica, Henley, sophomore; GT Blackman, La Grande, senior; Griffin Henry, North Marion, junior. Catchers: Blake Loney, Henley, junior; Grant Henry, North Marion, junior. First Baseman: August Baker, North Bend, senior. Infielders: Trent Keeler, Junction City, senior; Andy Schmitz, North Marion, senior; Trey Hageman, Astoria, senior; Hayden Vandehey, Banks, junior. Outfielders: Damian Alvarado, Gladstone, senior; Adam Hawker, Ontario, senior; Jake Overstreet, Henley, senior; Jerad Toman, Scappoose, senior. Pitchers: Cody Dubray, La Grande, senior; Jacob Dobmeir, Newport, junior; Ben McCoy, Gladstone, senior. Catchers: Heath Pickhardt, Crook County, senior; Logan Paustian, La Grande, sophomore. First Baseman: Kolton Fisher, Hidden Valley, senior. Infielders: Jayden Frank, North Bend, junior; JC Gross, Scappoose, senior; Brennan Watts, Phoenix, senior; Gunnar Partain, Banks, senior. Outfielders: Porter Agnew, Valley Catholic, senior; Jake Simmons, North Bend, junior; Seth Forsythe, Ontario, junior; Nic Iliyn, North Marion, junior. Utility: Zach Morgan, Sisters, senior. Pitchers: Mane Freeman, North Bend, junior; Wyatt Riedel, Estacada, senior; Cade Meisner, Sutherlin, junior. Catchers: Taylor Gross, South Umpqua, senior; Vincent DiMatteo, Hidden Valley, senior. First Baseman: Keegan Holly, Sweet Home, senior. Infielders: John Prescott, Junction City, junior; Colton Seal, Ontario, junior; Isaac Chamberlain, La Grande, sophomore; Kyle Hadwick, Henley, senior. Outfielders: Cameron Rodriguez, Madras, senior; John Tacchini, Henley, sophomore; Trenton Luckini, Newport, senior; Dakota Bunn, Banks, junior. Utility: McCrea Hamilton, Mazama, senior. Pitchers: Dalton Renne, Banks, senior; Roman Worthey, Brookings-Harbor, junior; Colton Smith, Sweet Home, junior; Hayden Rasica, Henley, junior; Sam McCauley, Baker, sophomore; Lucas Moe, North Bend, sophomore; Logan Travis, Scappoose, sophomore. Catchers: Daniel Pruitt, Valley Catholic, sophomore; Jaace Cross, Cottage Grove, senior. First Basemen: Nolan Jackson, Philomath, senior; Josiah Hirsch, Astoria, junior. Infielders: Tyler Lockey, Madras, senior; Austin Morss, Sisters, senior; Jake Davidson, Cascade, senior; Austin Conner, Gladstone, junior; Mathew Kuhn, Gladstone, junior; Kye Blaser, Newport, senior; Justin Frederick, La Grande, sophomore; Bryce Lemon, North Marion, senior; Peyton Westerholm, Seaside, junior. Outfielders: Johnathan Warner, South Umpqua, senior; Chris Luz, Sisters, senior; Jon Kleespies, Brookings-Harbor, junior; Mason Stella, Phoenix, junior; Mathew Lehrbach, Gladstone, junior; Kyle McAllister, Cascade, junior; Chico Guzman, Junction City, senior; Kadin Baker, Douglas, junior. Utility: JayCe Leonard, La Grande, senior; Noah Burke, Douglas, junior; Kenan Conner, Philomath, senior; Payton Hope, Sutherlin, senior.